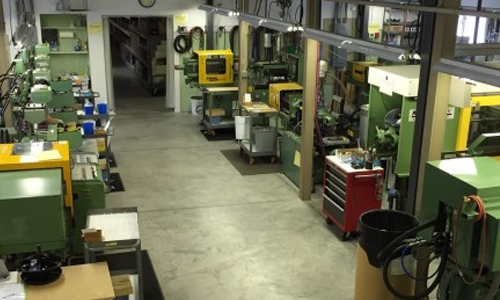 When there is a need for a large volume of highly intricate parts and components, plastic injection molding offers a viable solution for many designs. As such, the medical sector commonly uses injection-molded parts to meet the industry’s high demand for products and equipment. Plastic injection molding techniques meet the necessary standards for health and safety in a broad range of medical applications. The unique design demands of medical-grade parts, tools, and equipment require a fabrication process that can handle the complex designs and medical cleanliness requirements of healthcare applications. Medical injection molding meets these quality standards, making it a strong growth driver for the injection molding sector. Medical-grade injection-molded products offer natural resistance to contaminants and cleaning chemicals, durability, thermal resistance, and economies of scale for large production runs. These advantages make this an ideal process for creating affordable, high-use, high-quality medical supplies. The manufacturing processes used in medical injection molding follow a stringent set of quality standards that ensure product safety. These standards require the use of a climate-controlled plant for the manufacturing of components and devices. Plastic capsules are melted in a cylinder. The molten plastic is forced into predesigned mold to form various components. Complex components are formed separately and later joined or bonded to form completed shapes or devices. The production process for medical-grade injection molding must follow FDA-approved standards. The FDA Quality System Regulation lays out these standards in section 21 of the Code of Federal Regulation Part 820, which specifically outlines the standards for medical devices. Those who manufacture and produce medical devices for distribution within the U.S. must register their facility with the FDA. The manufacturing facility, its machinery, and its supply of plastic and products must undergo extensive analysis by the FDA to identify and eliminate any faults or contamination which might lead to serious medical emergencies. In addition to FDA registration, plants producing medical products through injection molding must follow the standards set forth in ISO 13485:2003. Once this certification is achieved, ongoing compliance requires following and documenting procedures. Each manufactured device must be classified under the ISO categories of Class I, II or III based on the product’s risk factor, level of regulation, and level of required compliance. Polyethylene, which is not suitable for autoclave sterilization due to low heat deflection. Ultra-high-molecular-weight polyethylene, which provides an ideal wearing surface for prosthetics. Polypropylene, which will withstand high melting temperatures of autoclave sterilization as well as radiation stabilization processes. Polystyrene, which is a colorless hard plastic with limited flexibility. Polycarbonate, which demonstrates high heat, UV-light and impact resistance, contains flame retardant properties, and a higher level of transparency. Utilizing each of these materials appropriately enables medical manufacturers to meet the demands for quality in a broad range of medical injection molding applications. Medical processes that have seen improvement using injection molding include surgery, drug allotments, and pharmaceutical development. Advances in medical equipment have also occurred thanks to injection molding, including heart pump parts, drug delivery products, orthopedic devices, and diabetes devices. With strict regulations and increased demand for biodegradable polymers influencing the medical industry, medical injection molding will continue to see steady growth for several years to come. The medical sector is expected to drive the largest portion of growth through 2025 for the injection molding sector. Plastic injection molding in the medical field provides a high level of product quality using a cost-effective means of fabrication. The regulated processes used in injection molding help to ensure that products meet the health and safety standards necessary for medical devices.